The National government has introduced plans to sell 49% shares in state-owned enterprises to private investors. Many on the left call for “New Zealand ownership,” but the real issue here is corporatisation of resources; whether by Kiwi or international investors. National describes their plans as a “mixed ownership model,” claiming they’ll cap investment by any one company at 10%, and that 85-90% of shares will be held by Kiwi “mum and dad” investors. However investigation by the Ombudsman reveals that Treasury has no evidence for these claims. Only a small minority of investors will benefit from these sales. National and its supporters claim that because the party campaigned on asset sales, it has a mandate. In reality, electoral turnout in 2011 hit its lowest point since women won the right to vote in 1893. This is less a landslide victory for the Nats than a failure by the left to muster any serious opposition, with the most immediate alternative of a Labour-led government offering little hope for real change. Additionally, polls show that 75% of voters oppose asset sales. National’s re-election reflects widespread disenfranchisement more than it represents any support for asset sales. In 1986, as part of a larger assault on the working class known as Rogernomics, the fourth Labour government introduced the State-Owned Enterprises Act. This placed state-owned assets under the management of corporate entities, run for profit. These locally-owned corporations treat social impacts as “externalities.” SOEs such as Meridian Energy raise prices and cut off power when people can’t afford to pay. On top of being the largest coal miner in the country, Solid Energy contracts out its employment to save on labour costs. In 2009 sub-contractor HWE Mining locked out 200 mine workers, and 1000 went on strike. National’s proposal to sell shares of these assets to private investors is a further step in the move towards corporate ownership of assets. Even resources that are nominally in public ownership are treated as private commodities. In his satirical novel Privatising Parts, Richard Meros posits that marriage was part of the nationalisation of love, and the first step to privatisation. A comparison could be drawn with the foreshore and seabed confiscation of 2004. While the Foreshore and Seabed Act may have appeared to confirm National’s populist slogan that “the foreshore and seabed belong to all New Zealanders,” in reality it only ensured the security of these assets for investors. While the roughly 30% of privately owned coastline remained privately owned, this legislation extinguished Maori customary title, so corporate investors such as Petrobras could mine the seabed without the insecurity of indigenous claims. In a similar vein, National is now claiming that ‘nobody’ owns inland water, while local and national government allocate its usage to farmers and power companies. 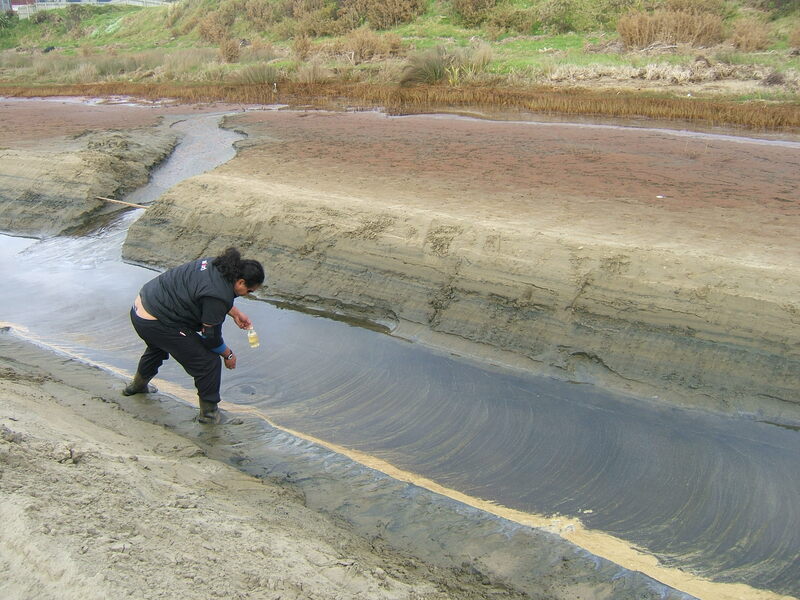 Around 30 hapu claim their rights to use and protect local waterways are eroded by appropriation, and pollution by private owners. In parts of Canterbury more than 100% of water has been allocated, leading to conflicts over ownership. The hypocrisy of government claiming ‘nobody’ owns resources, while divvying them up as private commodities, should not need to be stated. National have deliberately framed consultation on very narrow terms. At a consultation hui in Te Puni Kokiri in Wellington, Tony Ryall made it quite clear that they were not consulting on whether to sell the assets, but how to sell assets, despite repeated interjections opposing all sales. In the short term we might fight for public ownership, but in the long term we must fight for public control. Under state ownership 18% of SOE dividends go to the state, but without real bottom-up decision-making they will not be invested beneficially. More to the point these profits are generated through unaccountable exploitation; our power generation must be run democratically, to achieve social and ecological targets. In reality, it’s harder to “keep public assets” when we don’t yet have them. Not the main point I know, but Jesus, what an absolutely hideous picture. fwiw, I think Tony Ryall looks kinda cute in that pink shirt… and the devilishly satisfied “Crusher” Collins always has a very camp aspect to her persona which I find amusing. 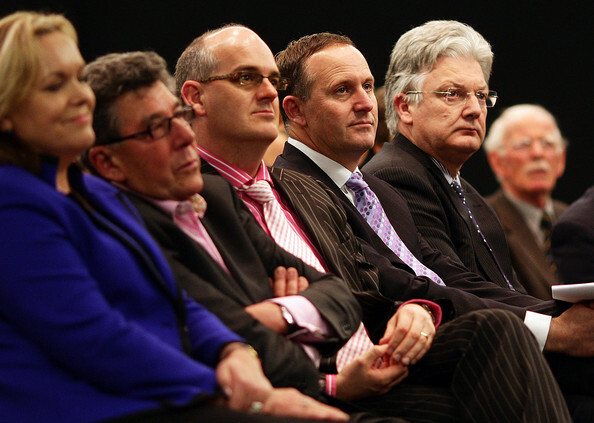 That being said, John Key looks like a zombie and Peter Dunne looks as stale and sullen as ever. Right-wing women are generally pretty camp.